Do you live in NYC? Are you an aspiring game designer? Then buy your tickets to Practice: Game Design in Detail. I always love sharing NYU events. In recent years, they have been one of the few schools in New York City to embrace game design. I even have a friend finishing up his bachelor’s in game design over there. Game designers may be a small community in New York, but it is ever growing. I appreciate it when events like this one bring the community together. This is a weekend-long conference, gathering some of the best and brightest game designers around. And as someone who has had the pleasure of attending an NYU event before, I guarantee you’ll have great discussions, meet interesting people, and be inspired to generated new game ideas. 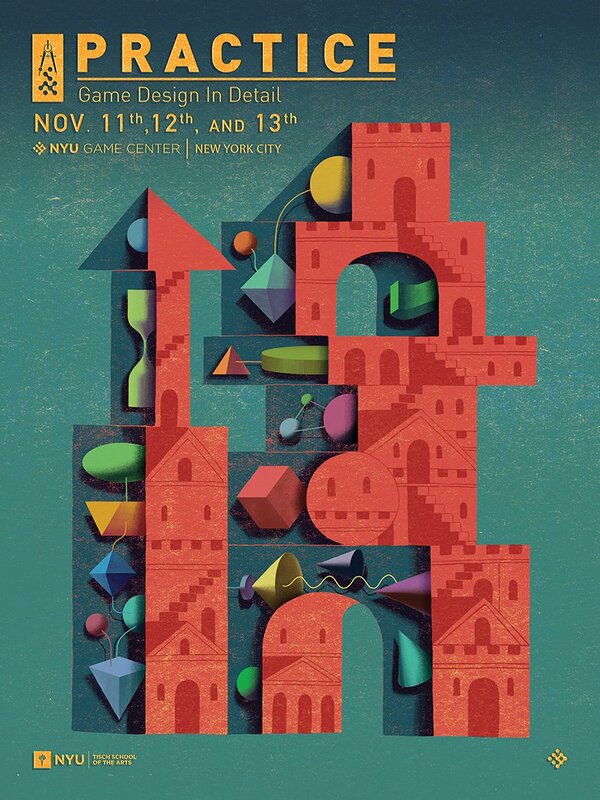 The event runs from Nov 11th to Nov 13th at the NYU Game Center. You can buy your tickets here. Now in its fifth year, PRACTICE: Game Design in Detail is the NYU Game Center’s annual conference for all game designers. This unique gathering has featured designers of video games, tabletop games, sports, LARPs, interactive fiction, naval war games, race cars, and dance battles. There’s no other event in the world for game design that combines this shared sense of passion, professional expertise, and such a wide range of perspectives. I hope everyone has a chance to buy tickets and show everyone how we do game design in New York City.